Load up and dig deep. 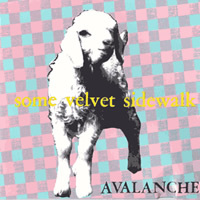 Package includes four full-length svs CDs (Shipwreck, Avalanche, Generate!, Whirlpool) two svs CD eps (I Scream, and The Lowdown) the Sandy Dirt Ship to Shore CD ep (Al w/ members of the Pastels) the Original Love Rock Masters (svs, Al, Telepathic Youth) CD compliation and the Al Larsen The Hardline According to Danny and the Dinosaur CD. An ice cream overdrive for your hard drive. Big city plans, goldfish bowls and midnight doubts. Bears on the bed, dinosaur bones, and the shopping center at midnight. Songs include "Oscar Says", "I Blame You", "One Bear Alone." Steve Fisk production focuses the wild notes toward maximum impact. Is that a swimming hole or a tarpit? 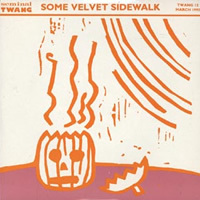 The first Al-Don-Martin some velvet sidewalk album. ...everything is right, everything is wrong... Loch Ness monster roaming the hills, alien alone on earth, the deep sea dragging you down. Broken strings and the goat ate through the speaker cables. Songs include "Loch Ness", "Curiosity" & "Deep Sea Green." ...yeah, that is right... everything is wrong!!! 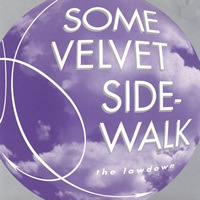 The second full-length album by Some Velvet Sidewalk. 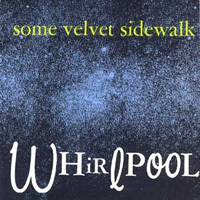 Recorded in 1990 in Olympia and San Francisco. Lousie Olsen, bass; Tobi Vail, drums; AL Larsen, voice and guitar. Screaming, careening and pretty near drowning. Overboard and out of reach. 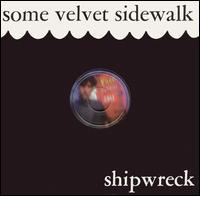 Washed up alone, and desert isle confusion. Songs include "Mousetrap" (creepy studio version with Donna Dresch on fuzz bass) "Dumb," "Puppy" and "Empty House."